Clean Code is an excellent book that all programmers should read. However its not for complete beginners. First chapters are covering basic: naming conventions, comments, functions… later it goes through good coding practices and rules that apply to all programming languages. 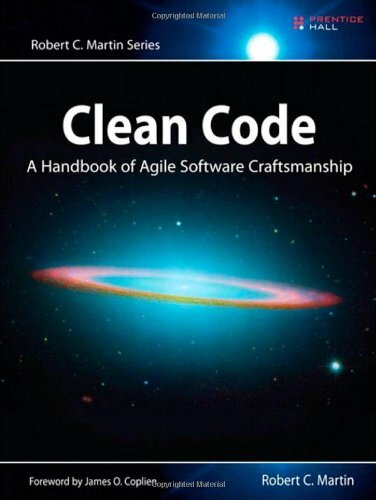 Clean Code is an excellent book that all programmers should read. However its not for complete beginners. First chapters are covering basic: naming conventions, comments, functions… later it goes through good coding practices and rules that apply to all programming languages. Code is written in Java what makes more of a “Clean Java Code” It uses Java for all of the examples and some of the chapters are dedicated to Java-specific issues. This can be a limitation to the users. The writing style of the book. Its simple, clean, and well crafted. This book’s biggest strength is that it includes tons of code examples, including some fairly long and in depth ones. Instead of just listing rules or principles of clean code. There are a number of lengthy examples in the book, demonstrating code before and after cleaning with a detailed description of the rationale for each small change. The Agile origins of the book are seen with the strong emphasis on testing, and Test Driven Development (JUnit framework). Author emphasises the importance of witting clean code that will last for a long time, over iterations and between programmers. This book is perfect for Java developer but it can be very helpful for junior developer who want to take coding practices to next level. I recommend this book to everyone who wants to post their code problem on the programming forum 😀 Stay Awesome!